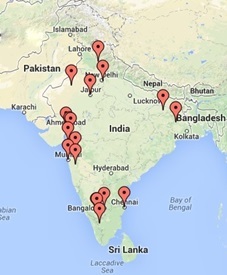 ODI is proud to have a growing number of ODI product users in India. In order to serve our valued customers better, we are appointing authorized dealers in different parts of the country. We vouch for building long lasting and healthy relations with our dealers. The result is a strong core group of dealers who are passionate about building and strengthening the ODI brand worldwide. To ensure consistent growth of dealers along with the organization, we provide following service and facilities to ODI dealers.